Food served every day from 11.30am - 9.00pm : Sunday to Thursday, and 11:30am-10pm every Friday and Saturday. OUR QUEST FOR TRULY GREAT SCOTTISH BEER STARTED IN 2006. Ever since then, we have been brewing the finest artisan lagers and wheat beers in the UK. We brew all of our beers in strict accordance with the Reinheitsgebot, the German Purity Law of 1516, which we believe is simply the best way to make great beer. 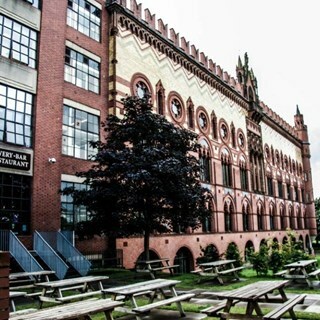 Situated in the iconic Templeton Building on Glasgow Green, WEST On The Green is home to a beerhall-style bar and restaurant as well as an impressive events space overlooking WEST’s expanded working brewery. Entering its eleventh year in operation, WEST has established itself as a Glasgow institution, combining its home city with German brewing tradition into the ethos of ‘Glaswegian Heart, German Head’. WEST On The Green offers an award-winning German-inspired menu featuring fresh Scottish ingredients. As a location for parties, family dinners or a quiet spot to read the Sunday paper, WEST is on hand to welcome the whole family, even your four-legged friend. 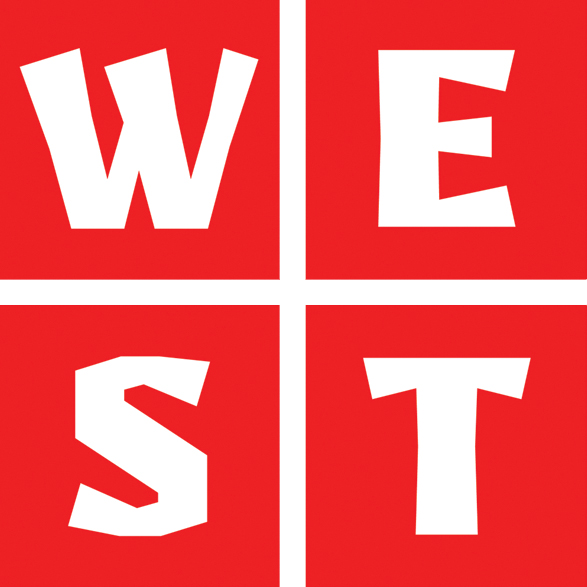 A full range of WEST beers are on offer, from the flagship St. Mungo lager to popular classics such as Heidi-Weisse, Munich Red, WEST 4 and GPA. Not impressed with 'tour'. Having been on a few tours of distilleries I think WEST need to make theirs more interesting. Having stood around for an hour being told about how beer is brewed there was no actual demonstrations or machinery working. Poor show. Would not recommend this. Food & beer good though. Staff attentive. Clearly not prepared for the Bank Holiday weekend. Got lunch on Friday 19/04 and food was mediocre and service was non-existent with long wait for food. Barely touched my Schnitzel as it was tasteless and dry - no offer of compensation provided by the server. Poor value for money as we could have gotten better food in town, even on a Bank Friday. Excellent food, great beer in a wonderful location. Keep doing what your doing. Another great visit to West. Fantastic beer and the best pub grub in Glasgow! Fantastic experience, first time going as my brother kept telling me to go as he loves West Brewery. Only minor fault was that they have no TV’s, having the football on would have just made my night perfect. All in all, I will be back very shortly. Excellent place. Great food, drink, service. Enjoyed the food, beer and atmosphere - nice setting too. A good night out for our party of 5. The brewery tour was disappointing for me, though one of our group had been before and enjoyed it more. A different guide and bigger group perhaps made it more difficult to engage. Great beer, great food, great night! Tour was good , just a tad lengthy . Well organised , place food order , tour and then tasters with food . Way to go . Every time I book a table for West, I have never received anything less than amazing service from start to finish. 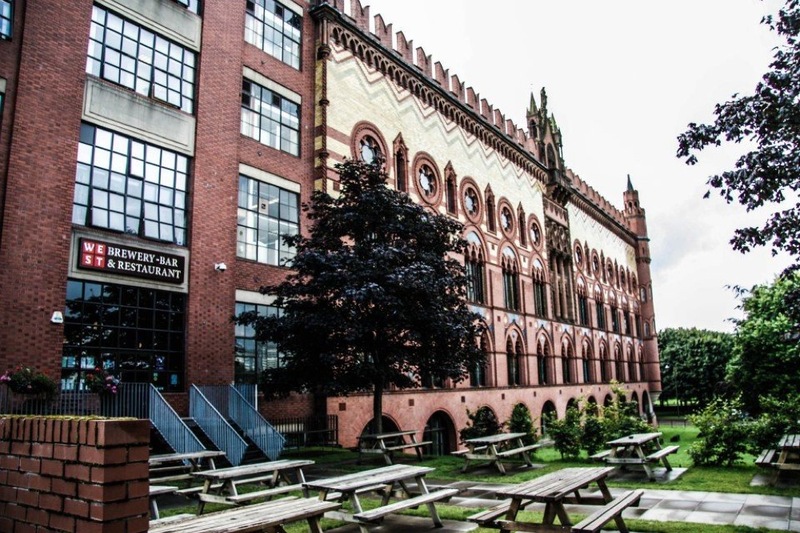 It's easily the best place for amazing beer in Glasgow and the food is quite brilliant as well! It's that good, my friend and his fiance want their wedding there!! friendly staff, good atmosphere with authentic German food and beer. great tour, highly recommended ! Myself and five pals had a fabulous evening at the West Brewery Bar and restaurant with an itson deal. Great place. Friendly , genuine staff . Beer great. Tour was good -  witty guide. Would recommend especially on a lovely sunny day - sitting outside looking over Glasgow green. We’ ll be back. The Tour Guide (Calum) I think was excellent explaining all processes of brewing. He also used humour to engage with the visitors. The overall experience was excellent and very well organised. A very relaxed environment and food fantastic !!! Would highly recommend this to others. Fab meal and drink as usual. Easy to get there by public transport. Lovely building, surroundings and interior. Staff lovely and friendly. Food good and drink gooder!! !